Remember those puzzle games that promise to blow your mind and then got boring or repetitive after the first level or so? Well, this is not one of them. With its compelling storyline, breathtaking 3D graphics and total authenticity, The House of Da Vinci will actually keep you thinking and wondering about the game for weeks after you have finished playing. “That’s the challenge we set for ourselves,” says Martin Pavelek, co-founder and CEO of Blue Brain Games. Da Vinci’s in the house! Set in the exact time and place where the world’s greatest inventor lived and worked, the game takes you back in time to the city of Florence in the year 1506. Just few seconds in, you find yourself in Leonardo’s library, wondering what could have happened to your master: did one of his legendary inventions somehow go haywire? Or are shadowy assassins from the Church responsible? And so, a quest to find the truth begins. Players must work their way through mind-bending puzzles, ferret out hidden objects, untangle complex mechanisms, and conquer many other obstacles that must be overcome throughout the game – all based on actual Da Vinci’s concepts, manuscripts and inventions. Upon entering Leonardo’s workshop, players are immediately engulfed in the authentic atmosphere of the Renaissance: its music, architecture and ambience are all re-created for players to enjoy and to experience first-hand. “Just as in every memorable game, the highest level of our own creativity must be present to make the game totally compelling, as well as visually attractive,” notes Martin. Moving well beyond earlier adventure games, The House of Da Vinci builds on its many interesting and unique game mechanisms and features by inviting players to explore new levels of complex puzzle solving. The Blue Brain Games team has added several brand-new features: players can see through materials to explore hidden places, discover embedded objects and other items hidden from the naked eye. Players can even peek into the moment’s past to navigate through the unknown. “We wanted to make a puzzle game that spins around a powerful story, not just about solving ingenious puzzles. We also wanted to make the game as unique as possible to allow players to enjoy original features, but still keep it all super-simple to navigate, employing intuitive touch control,” says Peter Kubek, the team’s Dungeon Master. Raising £43,600 on Kickstarter and building a community of 2391 backers, Blue Brain Games got double the support they expected. “The pull of Kickstarter community was something amazing. We’ve even reached a stretch-goal that unlocked an entire new game level for all backers for free,” says Martin. Their Kickstarter page is still a great source of news as the team is regularly updating it with latest news on their progress. With more than 21 updates since the beginning, the community became a part of the creative process. 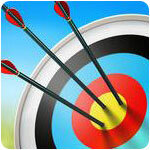 Archery King – Both Easier and Tougher Than it Looks! 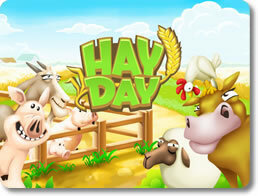 Hay Day – Run a Pocket-Sized Farm and Sell Your Produce to Other Players! Gone Fishing: Trophy Catch – Reel in Dozens of Prize-Winning Fish in this Beautiful Fishing Simulator! Boom Beach – Command Your Army, Storm the Beaches, and Free the Isles!